Nestled high in the Wasatch Back, our historic mining town spans just 17.5 square miles and has a population of less than 8,000. 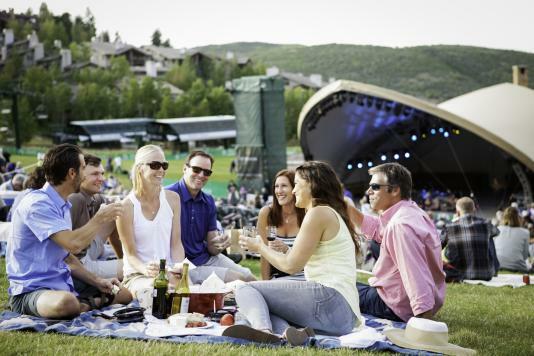 The small-town vibe draws over a half million visitors each year, and while top marks for friendliness are a great source of pride for those who call Park City home, we have to give credit where it’s due. The hostess with the mostest is indeed Mother Nature herself. The mountains are both Park City’s backdrop and its playground, life here is defined by them and active lifestyles are shaped by them. Simply put, you can’t talk about Park City without mentioning the world-class sports scene, one that’s owed to the unique natural environment. More than 7,300 acres of skiable acres make this area an opportune home for Olympians. Fun fact: more than 100 live here. But the good news is you don’t have to be an elite athlete—or even a skier—to knock back a healthy dose of adrenaline. Whether you plan to get moving yourself or get your fill with Park City’s sports events, you’ll find four seasons of exhilaration. It’s been some years since Utah Olympic Park hosted five events during the 2002 Olympic Winter Games, but this dynamic multi-use facility still buzzes with excitement. You might bear witness to mind-boggling jumps up to 30 feet in the air by pro freestyle skiers from around the globe. Or perhaps you’re more interested in sipping a trackside hot cocoa while bobsledders prep for the Games by ripping through turns at 70 miles per hour. If there’s any possibility that athletic skills can be obtained through osmosis, you’ll want to stop here. Prefer something more hands-on? You can begin building, or brush up on, your Nordic ski skills by attending a clinic led by a former champion. Top-level competitors seek out any advantage they can get, and you should, too. It’s amazing how much your performance will benefit from insider tips like how to choose and correctly apply ski wax. Seriously, it makes a huge difference! With your gear dialed in and your confidence high, you’re liable to feel a bit competitive. If so, you might take on the town by entering a Wasatch citizens’ cross-country skate race. Despite our reputation for breeding excellence, gold medals aren’t just for locals. We’ll gladly hand over the honor when you earn it. If your trip falls during the warmer months, you’re in luck because it doesn’t have to be snowing in Park City to be spectacular. Bring on the hiking, mountain biking, and climbing! Those who prefer to get a workout on mountain bikes will be pleased to know that Park City’s trail system was named the first gold-level ride center by the International Mountain Bicycling Association. With hundreds of miles to explore, you’re bound to discover your all-time favorite trail—and without the cost of a lift ticket. To help you narrow it down, the Swaner Preserve and EcoCenter offers opportunities to connect with the landscape and your inner athlete. You could elect to set out on a guided nature walk of the preserve for a cardio session complete with a lesson on the flora and fauna of the area. You’ll likely recognize some of the plants and wildlife you learned about if you tackle the EcoCenter’s rock climbing wall. Handsomely painted images of the region’s wetland ecosystem adorn the surface, making your ascension a journey from the bedrock all the way to the uplands. When the action starts to take a toll in the form of tight muscles, you may opt to join a yoga class for a much-needed stretch and relaxation session. Clearly, it doesn’t matter what time of year you visit or what type of activities pique your interest. Park City’s array of sports events serve up thrills for Olympians, wannabes, and weekend warriors alike. Check out upcoming events on the calendar below!